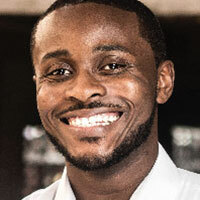 A documentary film from Nigeria’s John Adewusi is among the five finalists selected to present pitches at the global pitch competition at MipDoc on April 6 in Cannes, France. Adewusi’s documentary House Girls will be pitched to international programme buyers from channels all around the world at the Cannes event. The finalists will pitch their projects to a jury of international decision-makers who will then select the winner on April 7. Co-founders of Lagos production house Salt & Truth Productions, Adewusi and Jola Ayeye told Content Nigeria what the delegates can expect at the pitch event. “For us, MipDoc is an opportunity to present our slate of projects to our partners and the rest of the TV world. We are presenting a slate that cuts across from comedy, reality and drama – 10 projects in all,” Adewusi said. “We were selected as part of the top five finalists for the MipDoc pitch event and to be the only African company on that list means we are doing something right. “Thanks to all the many new channels, content creators no longer have to worry if their project will make it on to TV. They can just focus on creating good quality stories that reflect society with the assurance that somehow these projects will find a home. Salt & Truth Productions is a company that specialises in telling authentic African stories with a global appeal.